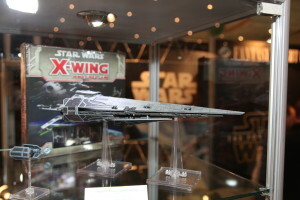 The GAMA Trade Show is currently being held in Las Vegas and Fantasy Flight Games, the company that currently holds to rights to produce miniature, card, and roleplaying games within the milieu of the Star Wars franchise, provided some updates during their presentation at the event on March 27th. They started off their presentation by making sure that everyone was aware that the dock workers’ strike on the west coast has greatly affected their ability to ship merchandise to retailers. Many companies have been hit hard by the port delays and it seems that Fantasy Flight Games was unable to escape them either. This would account for several of their products being delayed past their original expected shipping dates, including the Armada core game, along with its first wave of expansion packs and the next cycle of Force Packs for the Star Wars Living Card Game. 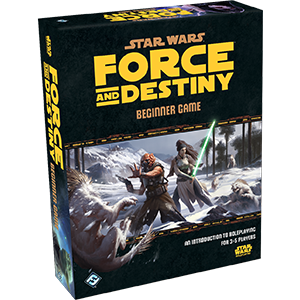 However, these delays appear to be abating as the company did update the shipping date for Force and Destiny: Beginner Game to April 2015. These RPG beginner boxes are a great way for players who are new to Fantasy Flight Games’ roleplaying mechanics to learn the ropes of playing a character in a pre-built story mission, or playing the game master who leads up to 4 other players in telling the story. They also announced that the first wave of expansion packs for Imperial Assault will be available this week! For those of you who heard my report for Star Wars Action News about last year’s GenCon, you’ll know that this is probably the best Star Wars game I have ever played. And since Fantasy Flight Games announced yesterday that it was their largest release ever, I don’t think I’m alone in that. Personally, I cannot wait to add these Villain and Ally Packs to my collection further hone my skills in the game’s one-on-one skirmish mode. 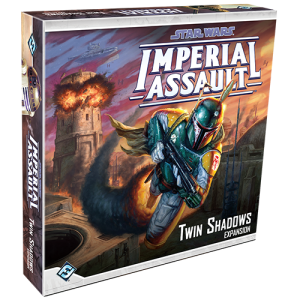 Twin Sha dows is a great-looking boxed set, which includes 4 missions that can either be inserted into the core set’s larger campaign or played separately as a mini-campaign. It also includes 2 new hero figures, 2 new villain types (Heavy Stormtroopers and Tusken Raiders) along with a dozen new map tiles to play out the new missions on! And of course there are a slew of cards and tokens to round out the box. As with the core game, Twin Shadows will introduce characters into the campaign that don’t get fleshed out figures within the box. 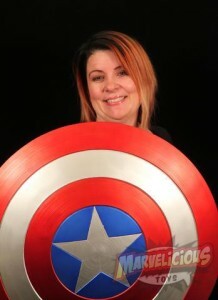 Instead, you will need to rely on their 2D character tokens when they enter play. However, three new Hero and Villain packs will also be coming so you can have 3D versions of your favorite droids when fighting against the most fearsome Mandalorian in the galaxy. Boba Fett has his own allies too. Kay Somos is a Stormtrooper Commander (shoulder pauldron included) who can help add actions to the other troopers on your map. All-in-all, some really exciting stuff here. And yes, they did officially confirm that they will be doing Episode 7 products, but obviously did not go into any detail. Hopefully we will get some glimpses of some new products next month at Star Wars Celebration, though I’m sure that information about The Force Awakens merchandise will be scarce until later this year. Nevertheless, this is a great time to be a Star Wars gamer.